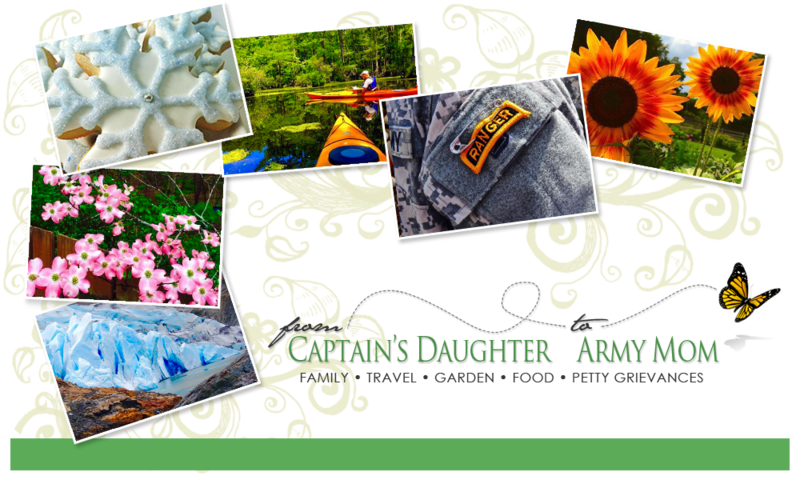 From Captain's Daughter to Army Mom: Spring is FINALLY here to Stay! This view from upstairs this evening told me to get my fanny outside! 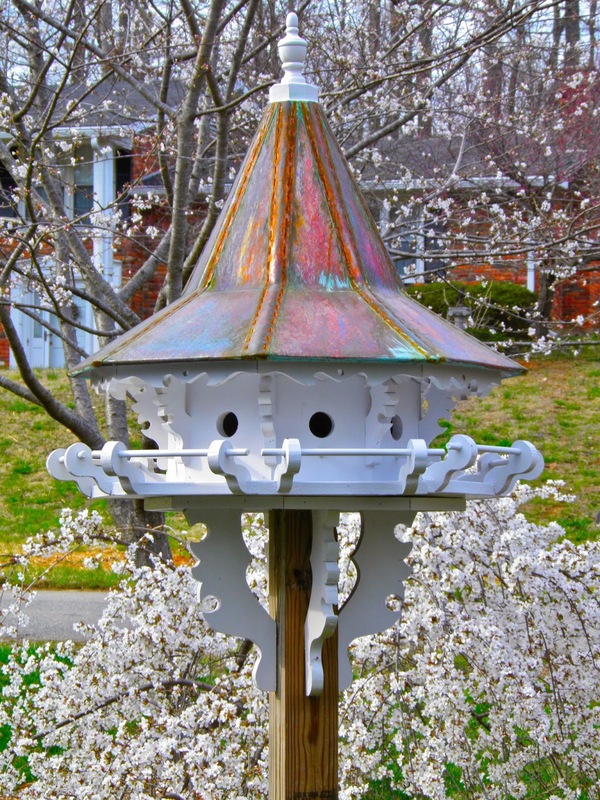 weeping Japanese cherry tree nearby is blooming and buzzing! Seriously! It's full of honey and bumble bees and, it smells so sweet! 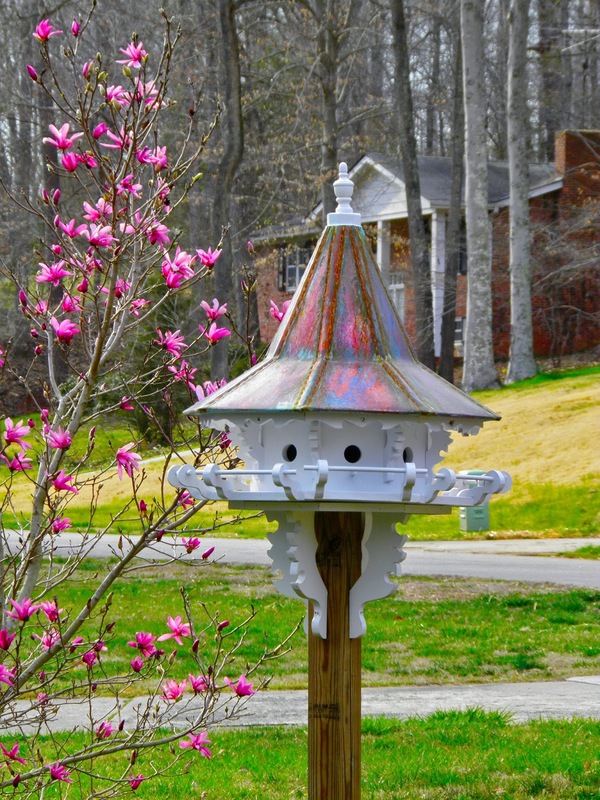 Of course, the magnolia is not to be outdone! 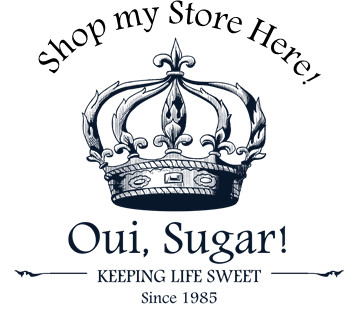 Sweet Springtime is finally here to stay! much do we love Leah's camo-ducky? This army-mom loves it a lot! cookies I sent home with their dad on St. Patrick's Day. How sweet are they? noticed a package... Of course, the sender's name made me smile from ear to ear! fact, I see a bit of their "Mortgage Lifter" bruschetta on our burgers tonight! me to arrange a few of our snowdrops in these sweet little vases! there's something blooming in your garden that deserves to come inside too! 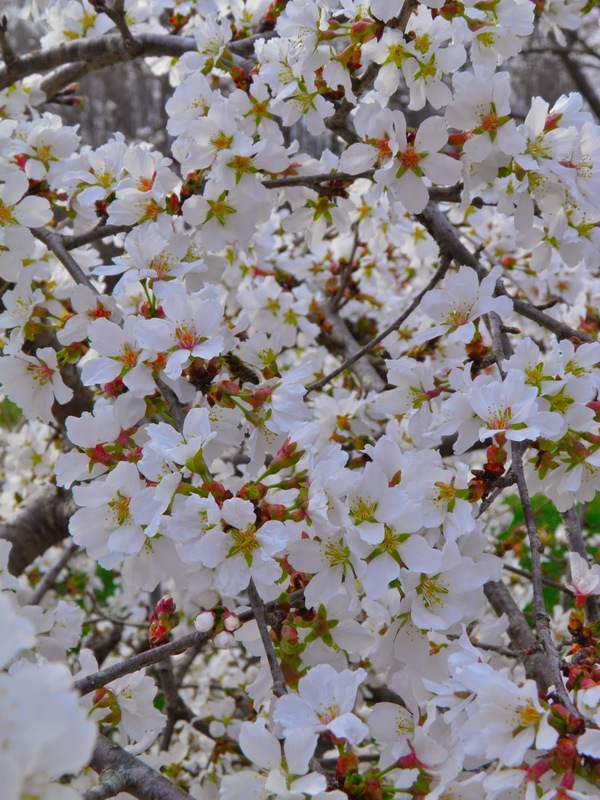 Thank you for bringing us SPRING! 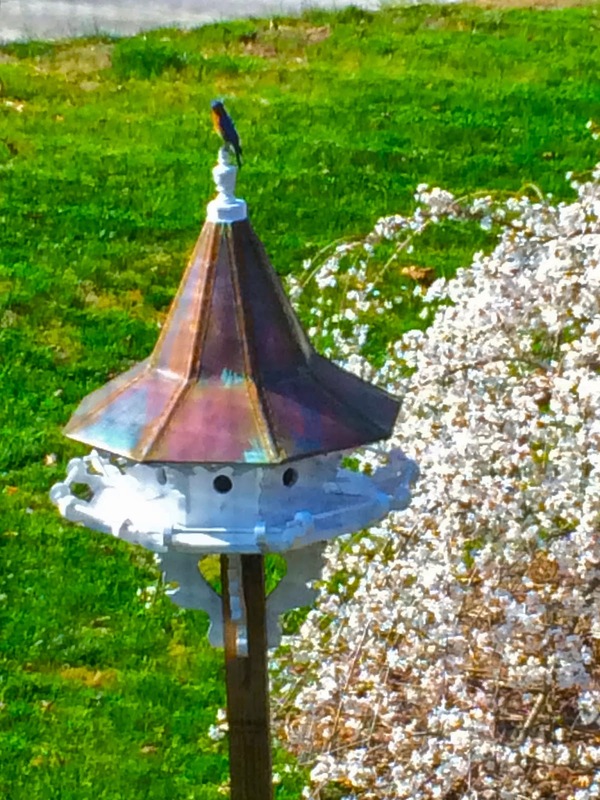 The grass is barely turning green up here....... Love that Bluebird perched on his beautiful new house with that glorious cherry tree in full bloom! Heavenly! 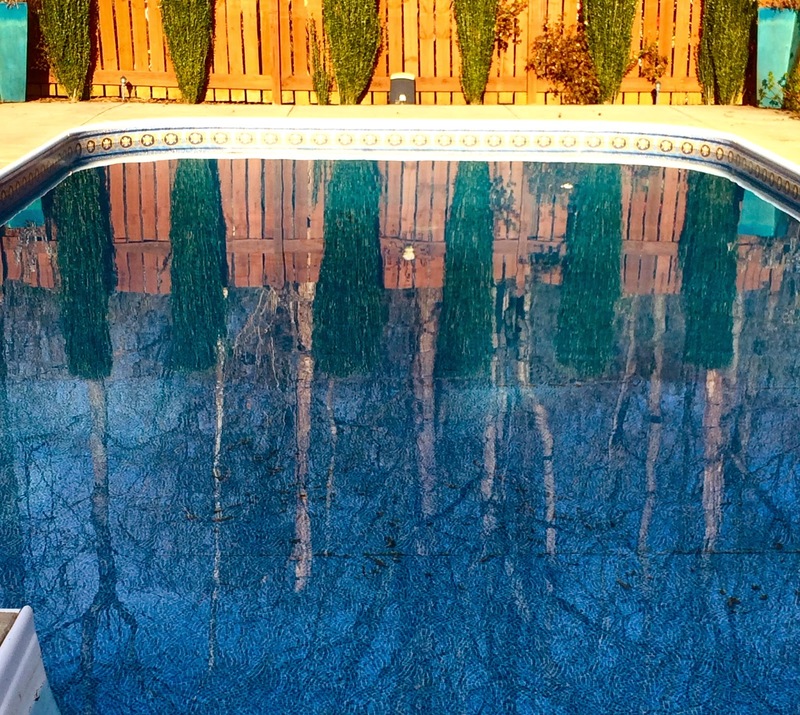 I really like the photos of the pool with the reflection of all the tree branches.......really cool! 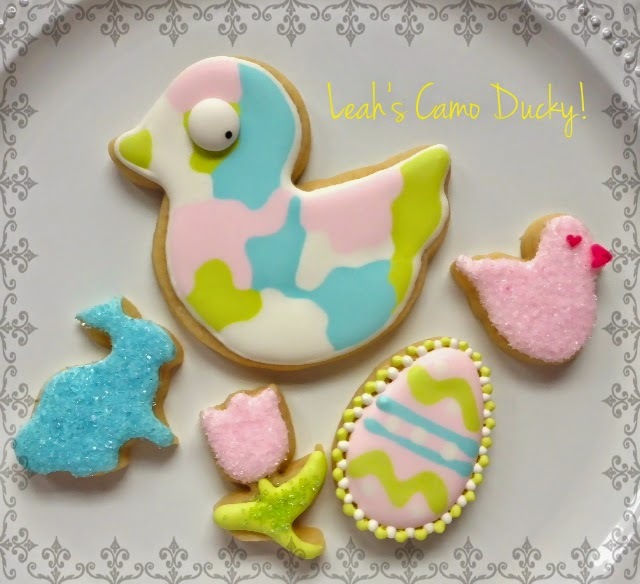 Thank you from the bottom of my heart for posting my Easter Camo Ducky on your blog and OuiSugar FB page! I'm honored and tickled pink! Thank you, Thank you, Thank you! Love the sweet thank you notes from your Boss's girls! No better thank you in the world! 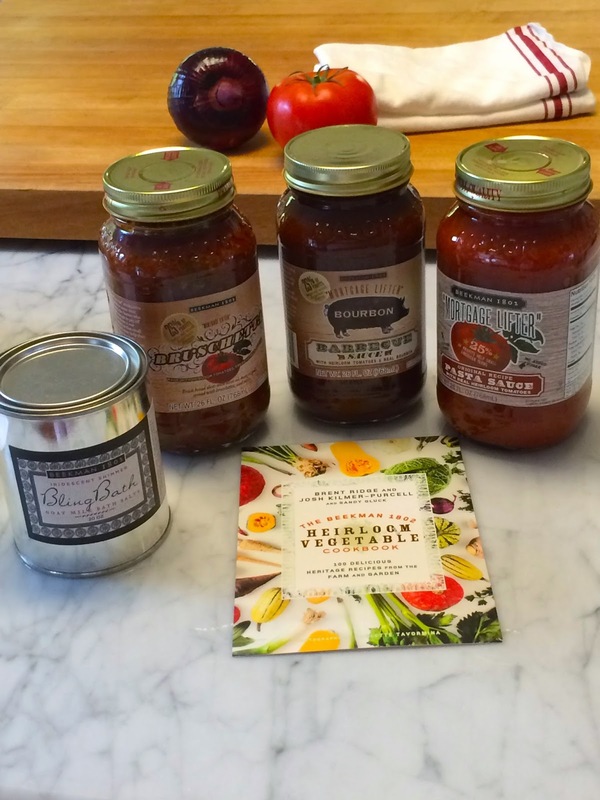 Those look like very yummy goodies from Beekman's.......how did those burgers come out? I'm in snowdrop love with those precious little vases.......darling.....enjoyed David's post as well! Many thanks again for your kindness & generosity! We have very little green here yet, so thank you for sharing all of yours! 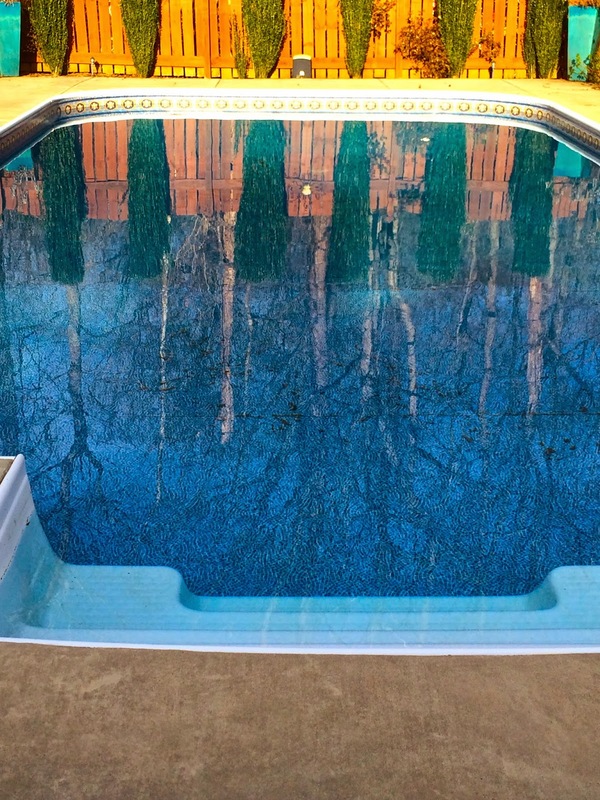 The only "gardening" I've accomplished is spreading mulch in the beds, but things are beginning to peek out Your pool looks SO inviting; is it really warm enough to use yet?! 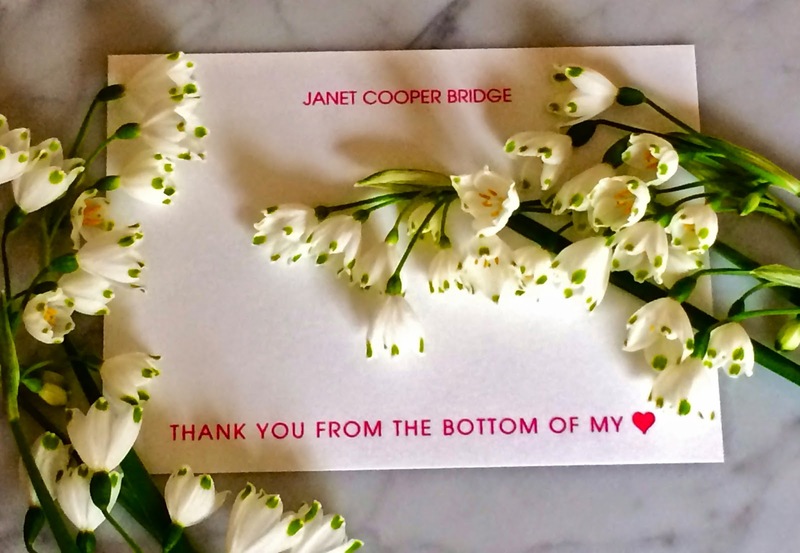 Happy Easter to you and yours, Janet! We used to have a majestic crabapple tree across from the barn, right along the driveway, but during hurricane Sandy it was uprooted. I'm sure you can understand, but I still mourn that tree. Enjoy your gardens and all that the season has to offer! !